When I [“I” being a hypothetic someone who has tested through a genetic genealogy company] first tested, I had no matches with my surname, and a match with another surname. I was told that there was an event in the past, breaking the link of the Y chromosome and the surname – an illegitimacy. ... Click to read more! “With close to 220,000 records, FamilyTreeDNA is the largest database of genealogic DNA information in the world. This provides the perfect complement to MyHeritage’s current research tools, giving our members another way to learn about where they come from,” said Gilad Japhet, founder and CEO of MyHeritage. “We help people around the world discover, connect and communicate with their extended family network and easily research their family history. Now, by working with FamilyTreeDNA, we can offer a solution when the paper trail runs out.” ... Click to read more! Security of genetic information is an enormous concern for individuals, and thus an enormous concern facing commercial genetic enterprises.Â I was recently having a conversation with someone about the security of genetic and personal information at companies such as 23andMe and Navigenics, and I pointed out that the very livelihood of these organizations depends on their ability to secure information.Â A single security breach could potentially drive away future customers. 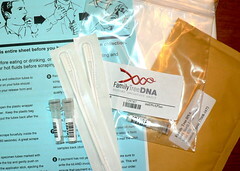 “With a credit card and a saliva sample, consumers can now unlock the secrets carried in their DNA. Consumer genomics offers direct access to one’s genetic code, plus interpretations of health risks, family lineage, opportunities for social networking, and more. But how should consumer genomics be regulated? Join us for a panel discussion with leaders at the forefront of consumer genomics (23andme and Navigenics), media commentators (Alexis Madrigal from Wired), and policy makers.” ... Click to read more! Charmaine Royal, Ph.D., discusses “The pitfalls of tracing your ancestry” at NatureNews.Â Dr. Royal, an associate professor at the Duke Institute for Genome Sciences and Policy, co-chairs the ASHG Ancestry Testing Task Force. If you’re interested in seeing the Task Force’s webcast, it’s available here. Edited (June 6, 2011): FINAL version of the paper available here. Today at 1:15PM, the American Society of Human Genetics released the “ASHG Ancestry Testing Statement and Recommendations (pdf)” during a press briefing session entitled “ASHG Ancestry Testing Statement and Recommendations: Guidelines for Understanding the Issues and Implications Involved. The briefing session, held from 1:15PM to 2:15PM, is part of the 58th annual ASHG meeting in Philadelphia. The paper was drafted by the recently-appointed ASHG Ancestry Testing Task Force Committee. After years of experience in this field, I am a proponent of genetic genealogy testing, a scientific endeavor that has been utilized by as many as 500,000 to 800,000 customers. I believe that education, not more government regulation, is the most efficient and appropriate answer to the issues raised by the authors of the paper. I believe that autosomal genetic genealogy testing is in its infancy and should only be used with the understanding that the results are only extremely rough estimates that are subject to change as the field develops. With those personal positions in mind, and after reviewing the paper, I have a number of general concerns with the paper’s conclusions: ... Click to read more! “What is genetic ancestry and how does it relate to race and ethnicity? The development of increasingly cost effective genomic sequencing technologies and public interest in genetic ancestry has led to a dramatic flourishing of direct-to-consumer products and new approaches to biomedical research. In this session, panelists define the contours of this emerging landscape and explore the commercial, biomedical, social and ethical implications of this burgeoning category of genomic application. Panelists consider the following questions: What genetic ancestry information is available to consumers? How is genetic ancestry used in biomedical research? What implications do genetic approaches to ancestry have on social identity? What ethical and policy issues must be addressed in this changing landscape? Panelists provide perspectives from industry, medicine, cultural studies, and bioethics.” ... Click to read more! 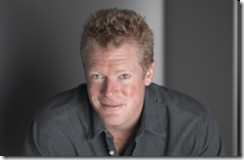 Last week I had the opportunity to attend a lecture by Spencer Wells, director of the Genographic Project from National Geographic and IBM. The talk was a Syracuse Symposium event, and the first big event ever to be held in Syracuse University’s new $110 million Life Sciences Center.Â I thought it was fitting that the first event to celebrate the future of the new life sciences building was a lecture that examined the collective genetic journey of mankind. Dr. Wells began by giving the audience a very brief introduction about DNA and genetic genealogy.Â He included a great quote that “The question of origin is actually a question about genealogy.”Â For those that are not familiar with the Genographic Project, it was launched in 2005 and includes three primary missions: ... Click to read more! “As the number of human beings with their genomes fully sequenced ticks higher and direct-to-consumer gene profiling companies push the limits of what medical genetics can do, the once fantastical notion that any given human can walk into a doctor’s office with his or her genome on a hard drive looks more and more like a reality. Still the question remains to be answered: how do we use this wealth information? In this Nature web focus we proudly present the challenges this approaching reality poses for technology, the legal and ethical confines of research, and the ability of genomics to translate into clinical utility.” ... Click to read more!